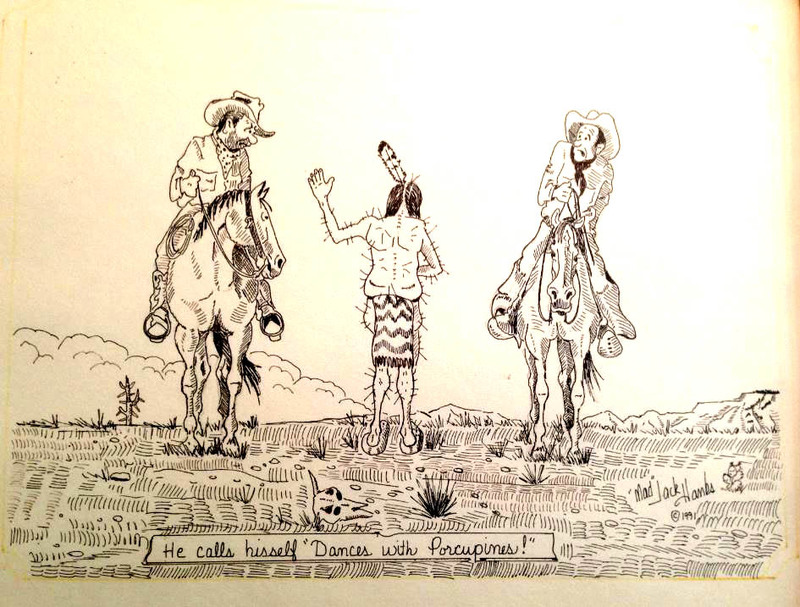 September | 2014 | JP Rankin "The CARTOON COWBOY"
I was obliged to draw a cartoon for him … was a pleasure visiting with you Sir! 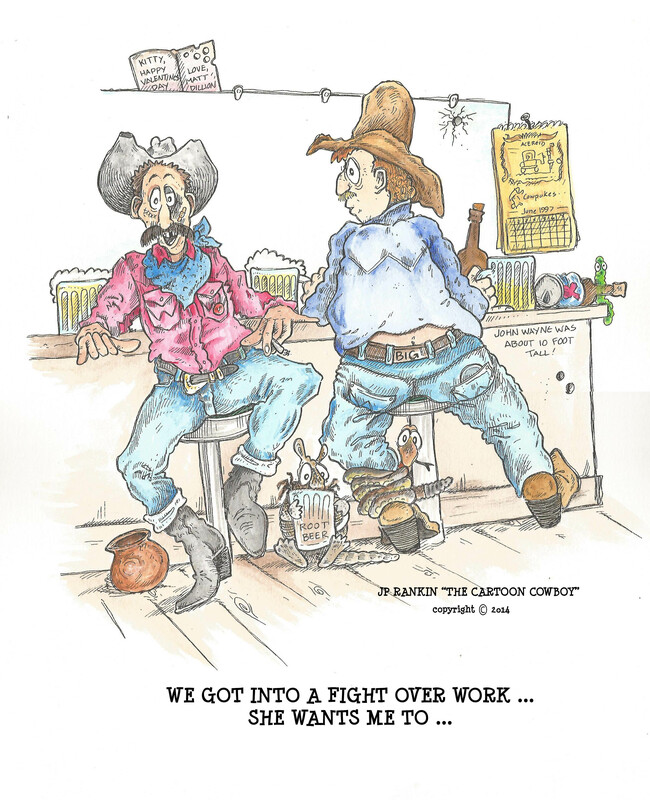 The Cartoon Cowboy’s lucky day … I go in to a Flea market in Bandera, Texas today and I see hanging on the wall a frame with a “Mad Jack” Hanks cartoon in it. The price on the cartoon was $8.00, well upon closer inspection I discover that the cartoon is actually a “Mad Jack” original and vendor selling it has no idea. 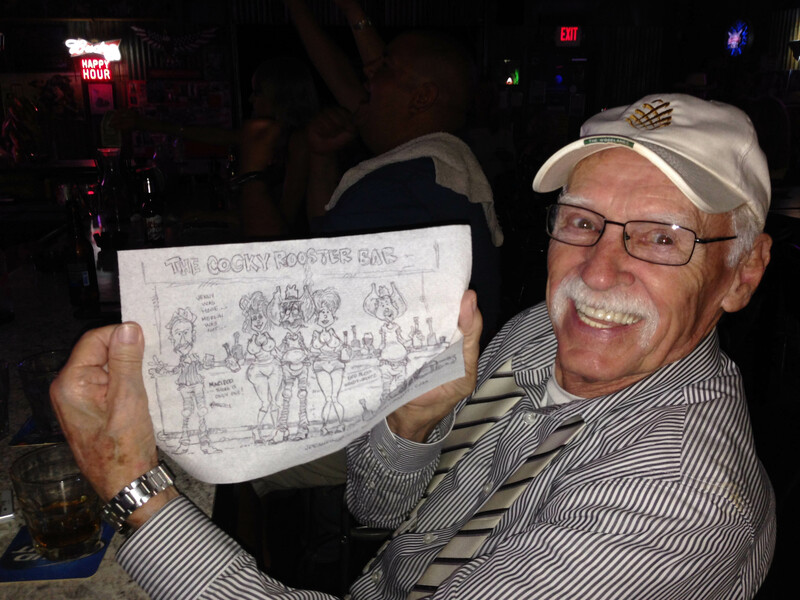 So The Cartoon Cowboy is now the proud owner of this “Mad Jack” original cartoon. I cut this out of the paper about 20+ years ago and still have it. It may be one of my all time favorite comic strips. I got in to the business of cartooning through drawing caricatures. 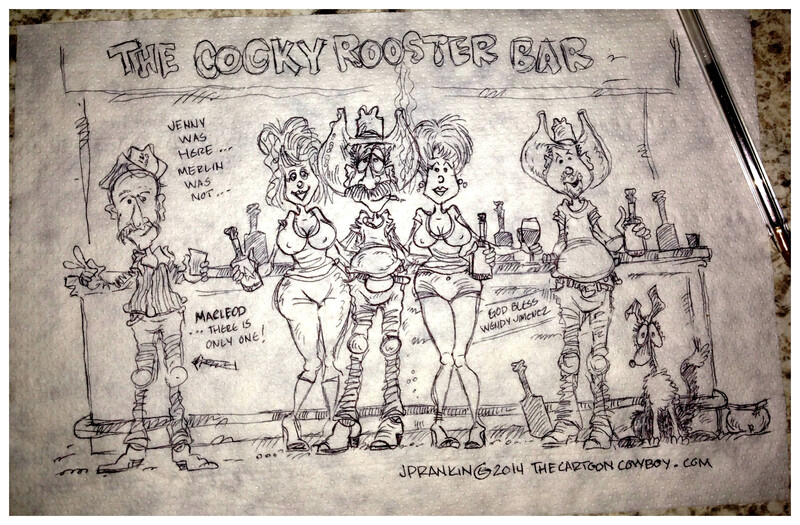 Sometime in 1990 I met a three caricature artists that performed in and around the San Antonio area. One was a professional artist and illustrator that went by the name of “Doc Haliday”. 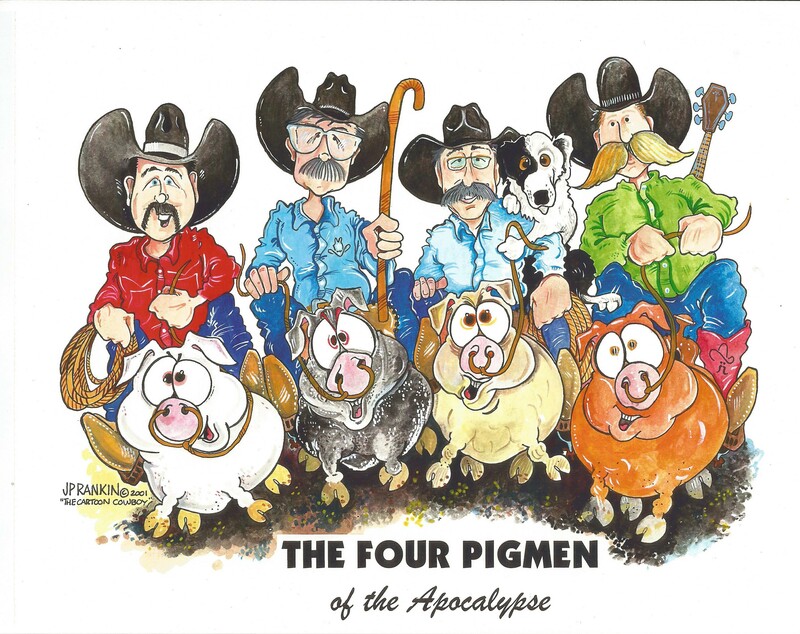 The other is Mel, a freelance artist who is still one of the most active and prolific caricature artist in San Antonio and if your lucky you can catch him at the San Antonio Rodeo in February or on any given weekend in “El Mercado”. 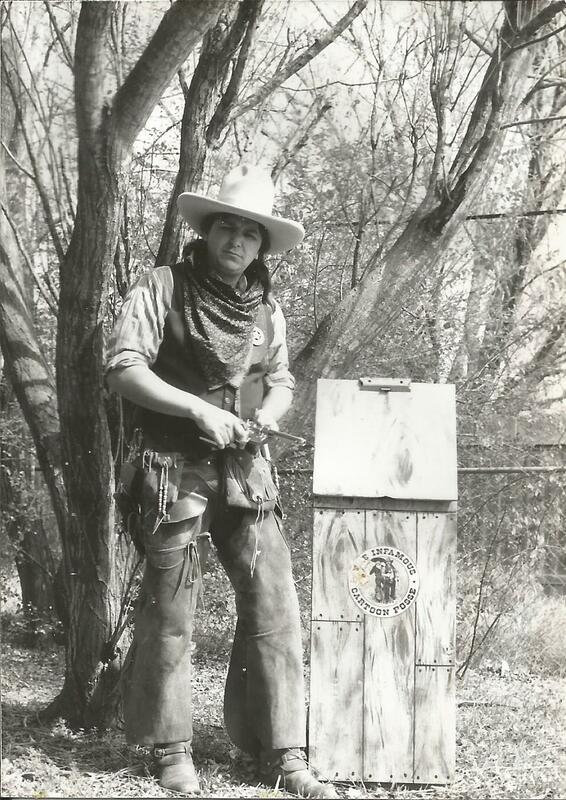 The third one operated and ran a group of caricature artist that was known around town as “The Infamous Cartoon Posse” and he was known by many as “Kidd Cardona”. 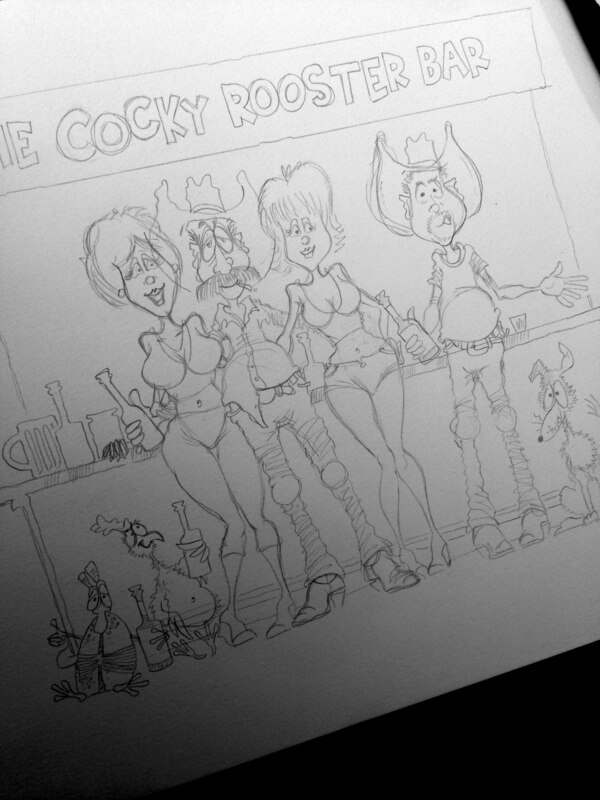 Kidd received the honor of being named as the “Official Cowboy Caricature Artist of Texas”. I have not seen Kidd in many years and not sure of his whereabouts, but as I was stumbling through some old cartoon artifacts I ran across this photo of Kidd. I think it is important to sometimes stop and remember those that had an influence on your career as all three of the did on mine.